Provides patients with security and safety from falling when used with FreeStep or NxStep. 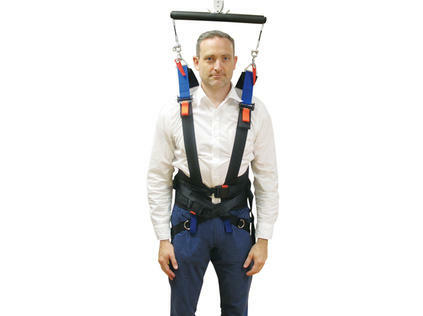 Worn as a vest around the upper torso, the Support Harness DLX provides patients with security and safety from falling when used with the FreeStep SAS or Unweighing System. Versatility includes double shoulder point connections to spreader bar or, a single connection point for low ceiling applications with tall patients (6’3” on a treadmill or 6’11” on the floor). 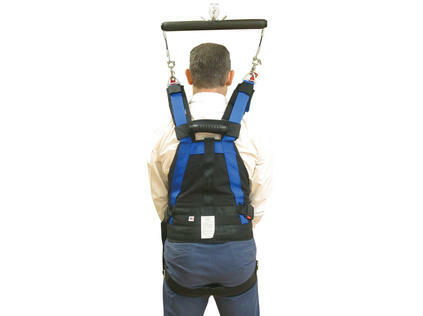 A pelvic support strap is included to keep the harness in place when limited body weight support is intended. Note: This vest is not intended for patient “unloading”, but can be used with the Biodex Unweighing System when support is required.